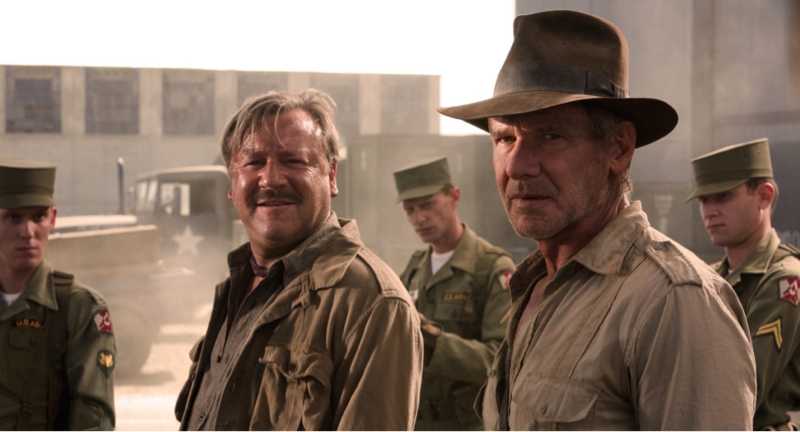 resurrect the Indiana Jones franchise. Some rumors even suggested the casting of rising action movie star, Chris Pratt. Fans began to rally behind the idea with the surfacing of a well-done photoshop creation online (see right). I loved the idea too, actually. But it seems executives have other ideas.. I guess time will tell what Disney and Lucasfilm decide to do with this wildly popular series. In the meantime, they have their hands pretty full with the new Star Wars trilogy. For more movie news and rumors, keep coming back to the Daily Runner. Alec Mangum is the Creative Director & Editor at the Daily Runner. You can follow his nerdy adventures on Twitter & Instagram. Reel Look: Is the Man Who is Tall Happy? March 20, 2014 Joe Sharp Comments Off on Reel Look: Is the Man Who is Tall Happy? Pass the Bond Baton. Indiana Jones needs to come back amidst Starwars’ STARWARS. The trend has been set. Follow through the jagged path. Make us DO IT.